But, its not just in the realm of restaurants that such a transformation occurs. The growth of leisure and entertainment to become a major component of household spending means that capital employed in a range of such ventures, from cinemas to football clubs, from gyms to pop concerts, enjoy a similar high rate of turnover of capital, and annual rate of profit. But, that change in the nature of production and consumption impacts the rate of turnover as a result of the role of the Internet in other ways. For example, one aspect of the change in consumption patterns, is the growth of expenditure on things such as music, film, computer games and so on. Initially, a lot of this was conveyed electronically by use of CD's and DVD's, which then still had to be physically shipped. The media required for that purpose was continually improved, but the revolutionary shift arises with the Internet, which means that a piece of music, film, video game, can be transferred instantaneously from one side of the globe to the other, and at the same time, payment for that commodity can be transferred simultaneously into the bank account of the seller. Given the extent to which these new industries, and types of commodities play an increasing role, this revolution in production and distribution is even more significant. These are already low organic composition/high profit industries to begin with. By massively increasing the rate of turnover of the advanced capital employed within them, not only is the mass of capital hugely increased, but so is the annual rate of profit. Its no wonder that the capital employed in these industries, can afford to pay high wages to workers for the complex labour they supply, and yet these capitals still make huge masses and rates of profit. As Marx points out, it is the fact of these new high profit areas, which act to raise the average rate of profit, which explains why the rate of profit itself, never falls by more than the rate at which the mass of capital expands. To, the extent that these capitals are themselves industrial capitals that take on some of the functions of merchant capital – a restaurant has to sell as well as produce its meals, a football club must sell seats at its matches and so on – or else has to rely on specialised merchant capitalists for this function – for example, even computer software suppliers often transfer the function of providing downloads to third party merchants – Marx's analysis of the role of the rate of turnover in circulation, as it affects merchants capital, the rate of profit, and prices is significant. 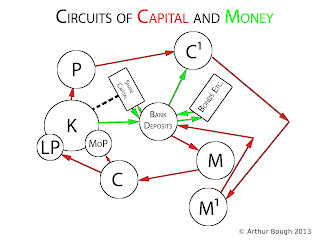 Marx refers here to the point addressed in Capital III, where he discusses the difference between the accumulation of loanable money-capital, and of real productive-capital. They are two different things, he shows. During a period of rapid growth, realised profits may rise sharply, and, although a large part of this may go into productive investment, there are physical limitations on how quickly such investment can occur, as suggested above. 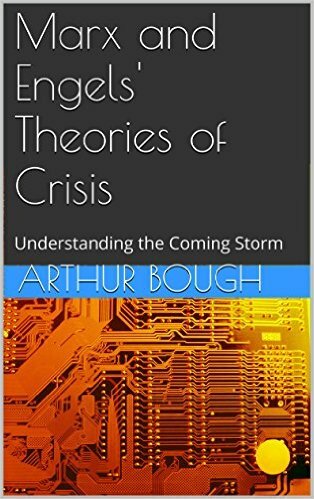 For example, a factory cannot be built overnight, and even if it could, the factory is no good without the required machines, circulating capital and so on in the required technical proportions, and accumulated profits must be sufficient to put all this in place together. 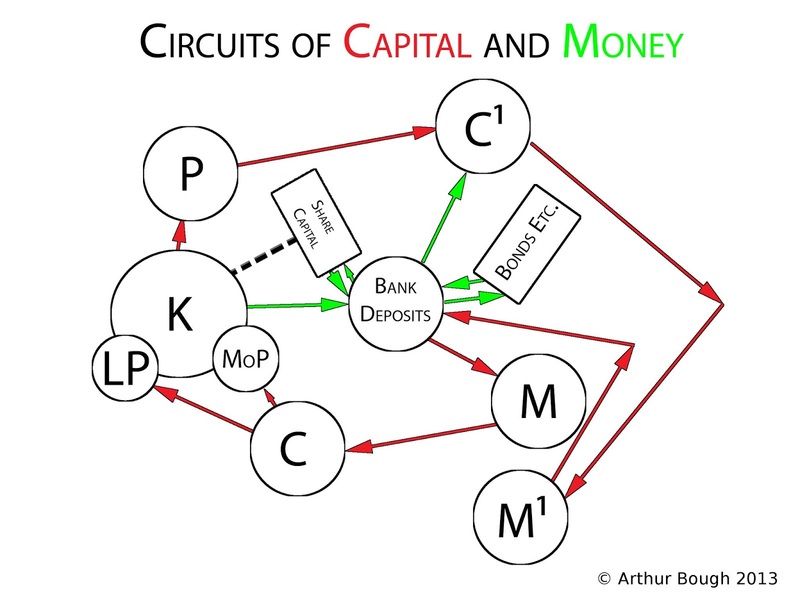 The consequence is that, during such periods, large amounts of money-capital may accumulate and push down on interest rates. Often this encourages speculative activity. It does so, because lower interest rates lead to higher capitalised values for revenue producing assets, so that speculators attempt to obtain capital gains, leading to the blowing up of financial and property market bubbles. Marx and Engels describe the way this happened in 1847, with the speculation in railway shares that led to the Railwaymania, and subsequent bursting of that bubble. Similar situations arose in the 1990's with the blowing up and then bursting of the property market bubble, and the bubble and subsequent bust in Japan, followed by the blowing up and bursting of the tech bubble in 2000, followed by the blowing up of the stock market and property bubble, and its subsequent bust in 2008, and the blowing up of even bigger stock market and property bubbles in the period after 2009, which are themselves now primed to explode.